The Noorduyn Norseman is a Canadian single-engine bush plane designed to operate from unimproved surfaces. Norseman aircraft are known to have been registered and/or operated in 68 countries throughout the world and also have been based and flown on the Arctic and Antarctic continents. Designed by Robert B.C. Noorduyn, the Noorduyn Norseman was produced from 1935 to 1959, originally by Noorduyn Aircraft Ltd. and later by the Canada Car and Foundry company. With the experience of working on many ground-breaking designs at Fokker, Bellanca and Pitcairn-Cierva, Noorduyn decided to create his own design in 1934, the Noorduyn Norseman. Along with colleague, Walter Clayton, Noorduyn created his original company, Noorduyn Aircraft Limited in early 1933 at Montreal while a successor company bearing the name, Noorduyn Aviation, was established in 1935. Noorduyn's vision of a bush plane revolved around a few basic criteria: it should be an aircraft with which a Canadian operator utilizing existing talents, equipment and facilities could make money, it should be a high wing monoplane to facilitate loading and unloading of passengers and cargo at seaplane docks and airports and, finally, it should be an all-around superior aircraft to those in use in Canada. From the outset, Noorduyn designed the transport to have interchangeable wheel, ski or twin-float landing gear. 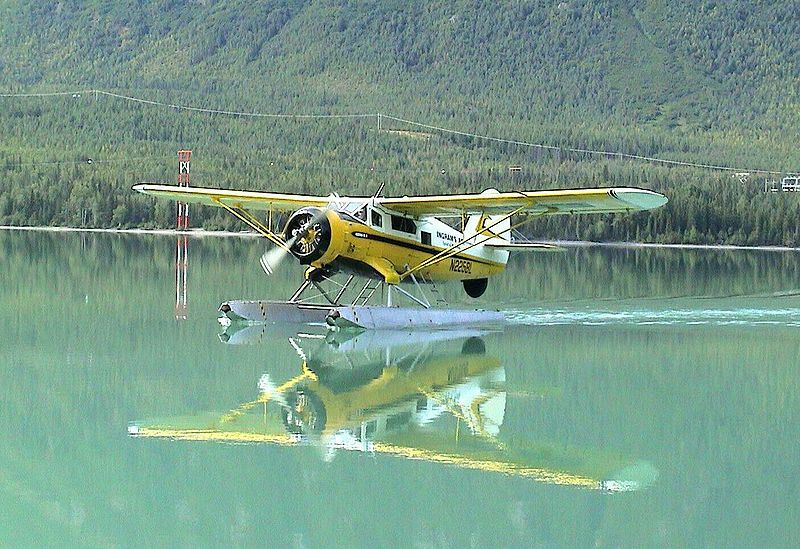 Unlike most aircraft designs, the Norseman was first fitted with floats, then skis and, finally, fixed landing gear. The final design layout looked much like Noorduyn's earlier Fokker designs, it was a high-wing braced monoplane with an all-welded steel tubing fuselage structure and wood stringers applied to it for the attachment of a fabric skin. The Norseman's wing had an all wood construction and was fabric covered, except for the flaps and ailerons, which were made of welded steel tubing. It had a divided type landing gear fitted to fuselage stubs, the legs were secured with two bolts each to allow the alternate arrangement of floats or skis. The tail wheel strut could be fitted with a wheel or tail skid. "Spirit of the Kenai", landing on the Kenai River, in Alaska, August 2003. The first Norseman, powered by a Wright R-975-E3 Whirlwind, was flight tested on floats 14 November 1935 and was sold and delivered to Dominion Skyways Ltd. on 18 January 1936, registered as "CF-AYO" and named “Arcturus." In summer 1941, Warner Brothers leased CF-AYO for the filming of "Captains of the Clouds" starring James Cagney. 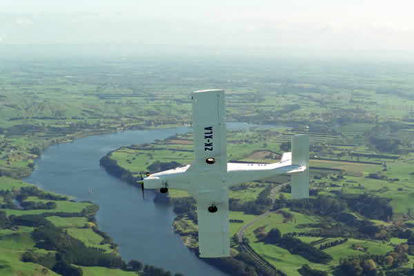 Principal aerial photography took place near North Bay, Ontario with CF-AYO carrying temporary registration "CF-HGO." Almost immediately, the Norseman proved itself to be a rugged, reliable workhorse with steady sales. The first aircraft, CF-AYO, was designated the Norseman Mk I. The next aircraft, "CF-BAU," having some minor changes required after the certification tests, and a new Pratt & Whitney R-1340 Wasp SC-1 engine up-rated from 420 to 450 hp, was designated Norseman Mk II while the next three aircraft were Norseman Mk IIIs: "CF-AZA" going to MacKenzie Air Service, Edmonton, Alberta, "CF-AZE" to Prospector Airways, Clarkson, Ontario and "CF-AZS" to Starrat Airways, Hudson, Ontario. "CF-BAU" would be modified on 26 June 1937 to became the prototype Norseman Mk IV, powered by a Pratt & Whitney Wasp S3H-1. The Mk IV became the "definitive" model but the production run may have ended at a few hundred examples if not for the advent of the Second World War. Until 1940, the Noorduyn company had only sold 17 aircraft in total, primarily to commercial operators in Canada's north and to the Royal Canadian Mounted Police. With the outbreak of war in Europe, demand for a utility transport led to major military orders. The Royal Canadian Air Force and the United States Army Air Forces became the two largest operators; the RCAF ordered 38 Norseman Mk IVWs for radio and navigational training for the Commonwealth Air Training Plan. USAAF Colonel Bernt Balchen had been involved in establishing a staging route across Greenland to facilitate the ferrying of aircraft from North America to Europe. He required a bush plane rugged enough to survive in the harsh conditions of the Arctic. After evaluating six Norsemans diverted from a previous RCAF order, late in 1941, he recommended the purchase of the Norseman Mk IV specially modified to USAAF requirements as the YC-64A. After the US entry into the Second World War, the USAAF placed the first of several orders for a production version C-64A Norseman. The principal differences involved fitting two fuselage belly tanks bringing the standard fuel capacity to 201 Imp. gal (914 l); an additional cabin fuel tank of 32 Imp. gal (145 l) could also be installed. These changes resulted in an increase of 950 lb (431 kg) in the loaded weight of the standard Mk IV. Deliveries began in mid-1942, with the American military eventually placing orders for 749 Norseman Mk IVs as the C-64A (later UC-64A). Throughout the Second World War, the USAAF Norseman aircraft were used in North America (primarily Alaska) as well as other in theaters of war, including Europe. Three UC-64As were used by the US Navy under the designation JA-1. Six C-64B floatplanes were used by the US Army Corps of Engineers, as well as by other Allied air forces, who placed orders for 43 Norseman Mk IVs. The RCAF ordered an additional 34 aircraft as Norseman Mk VI. 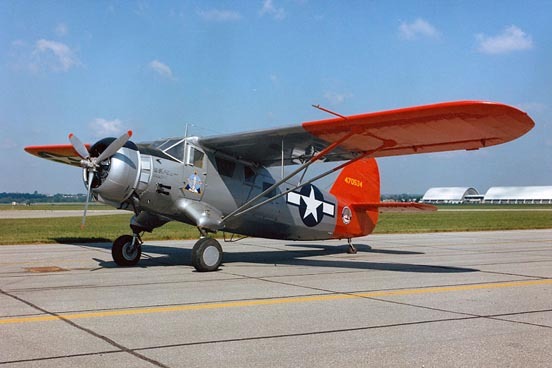 Noorduyn was the sole manufacturer, but when the USAAF considered ordering a larger number of C-64As, license production of 600 by Aeronca Aircraft Corp. (Middletown, Ohio) was contemplated before the contract was cancelled in 1943. It was a Norseman that Glenn Miller was flying in as a passenger when he disappeared on December 15, 1944. In postwar production, the Canada Car and Foundry in Fort William, Ontario acquired rights to the Norseman design, producing a version known as the Norseman Mk V, a civilian version of the wartime Mk IV. In order to exploit the market further, the "Can Car" factory designed and built the Norseman Mk VII. This version had a bigger engine, a new all-metal wing and greater cargo capacity but was fated never to go into production. With large Korean War commitments at that time, the company put it into temporary storage where it was destroyed in a hangar fire in September 1951. In 1953, Noorduyn headed a group of investors who bought back the jigs and equipment from Canada Car and Foundry and started a new company called Noorduyn Norseman Aircraft Ltd. Bob Noorduyn became ill and died at his home in South Burlington, Vermont on 22 February 1959 but the company he had created, provided support for operating Norseman aircraft and even built three new Mk Vs before selling its assets in 1982 to Norco Associates. Norco provided support services only, as the manufacture of a new Norseman aircraft, being labor intensive, was very expensive. The last Noorduyn Norseman to be built was sold and delivered to a commercial customer on 19 January 1959. A total of 903 Norseman aircraft (Mk I - Mk V) were produced and delivered to various commercial and military customers. 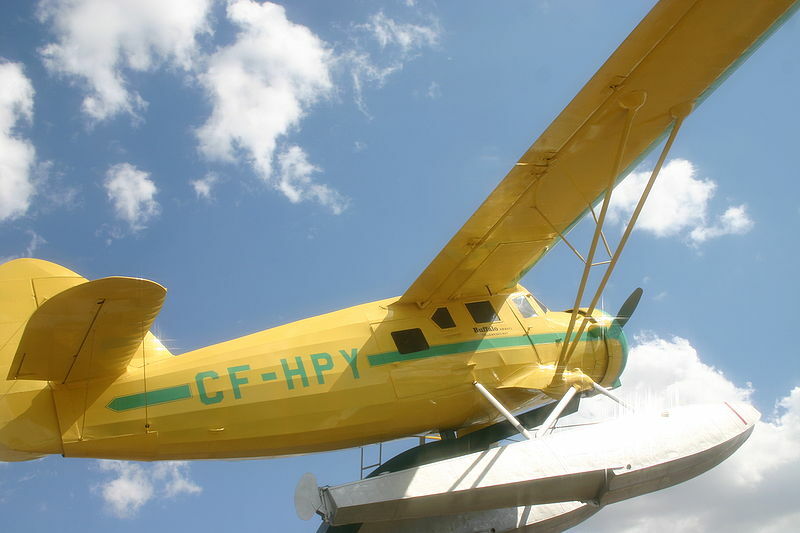 There are currently 30 Norseman aircraft on the active Canadian aircraft registry. The number in use worldwide is not known. Some of the defining moments of the Norseman story relates to tragedies. Glenn Miller was flying in a Norseman when he disappeared somewhere over the English Channel during the Second World War. The Canadian Second World War "ace-of-aces" George Beurling also died in a Norseman while landing at Urbe Airport in Rome, Italy, in 1948. 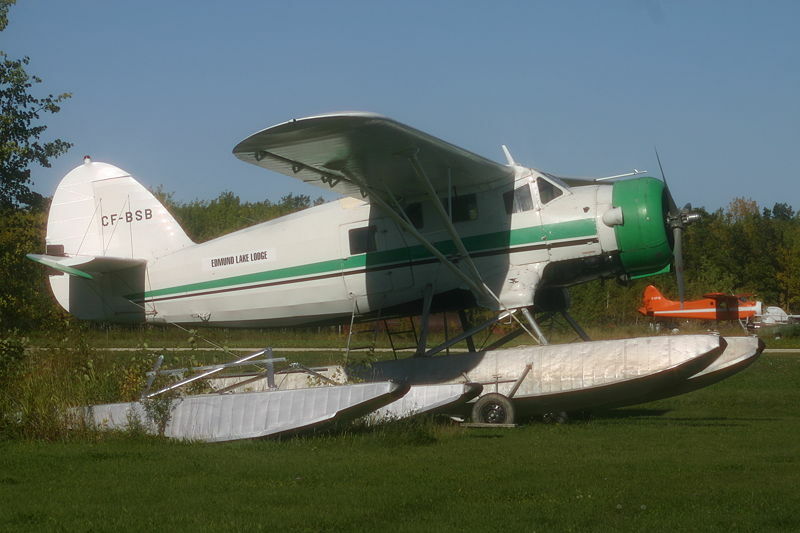 Norseman aircraft have appeared in the films Grey Owl (1999) and the Snow Walker (2003). In recognition of the Norseman's role in serving the remote villages of northern Canada, the town of Red Lake, Ontario, a jumping-off point for remote communities in Northwestern Ontario, promotes itself as The Norseman Capital of the World. Each summer in July, the "Norseman Floatplane Festival" brings Norseman aircraft to Red Lake as the centrepiece of a community based weekend festival ranging from stage entertainment, children's games and rides, contests, cultural and historical displays and street vendors with craft and specialty booths.